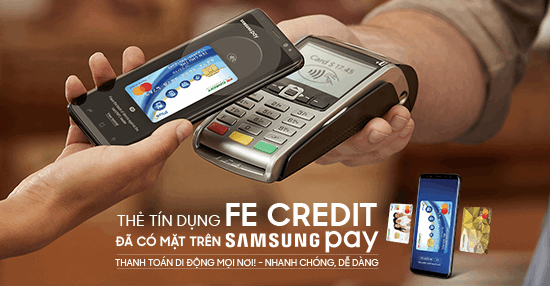 From 10th December 2018 till 10th February 2019, just link your FE CREDIT card with Samsung Pay and start spending at any card accepting terminal across Vietnam to win a Samsung Gear S3 Frontier smart watch! 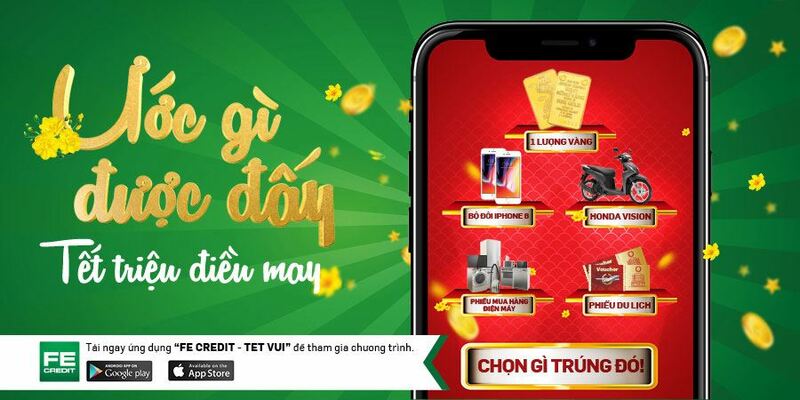 The more you spend, the more chances of winning you have! So, what are you waiting for? 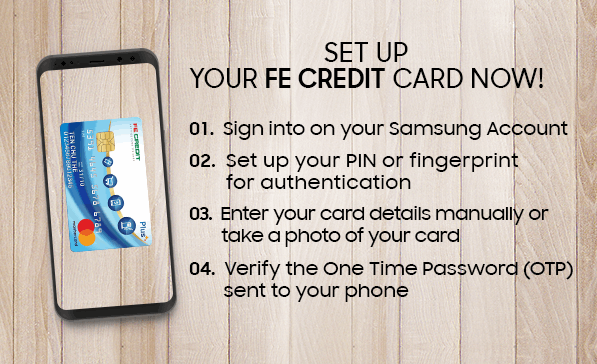 Open Samsung Pay app & link your FE CREDIT card to start transacting NOW! Remember the more you spend more are the chances to Win Samsung Gear S3. DON’T HAVE A FE CREDIT CARD? Galaxy S6edge+, Galaxy S7, Galaxy S7edge, Galaxy S8, Galaxy S8+, Galaxy Note 5, Galaxy Note FE, Galaxy Note8, Galaxy S9 và S9+, Galaxy Note 9 and some Galaxy A versions, including Galaxy A9 Pro, Galaxy A5 và A7 (2016), Galaxy A3, A5, A7 (2017), Galaxy A8 and A8+ (2018). Samsung Pay is also compatible to Samsung Gear S3 smart watch.